It's unclear how dangerous it is, as some Mac versions may be safe. 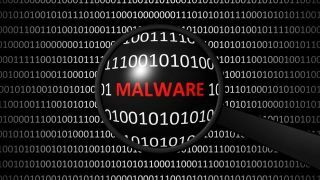 A new version of the Mac malware dubbed Fruitfly has been spotted in the wild, and it’s unclear if the latest Mac OS is vulnerable to it or not. According to the report, the malware has been found on “hundreds of Macs”. Fruitfly has been in existence for a number of years before it was finally uncovered this January, because “current Mac security software is often rather ineffective," Wardle said. Apple has patched its OS to protect against earlier versions of Fruitfly, but it has remained unknown if the latest version is a threat or not. According to Wardle, nine out of ten victims are US-based, and they are most likely not connected. He does have reasons to believe that the malware is run by a single hacker "with the goal to spy on people for perverse reasons". Apparently, it’s not a state-run attack. "I believe the attacker is MIA [missing in action]," Wardle told CNET, "so I don't think people are still being targeted with this malware. Also it likely required user interaction to infect a Mac computer (you'd have to be tricked into downloading/running something). But the malware itself still runs on MacOS," he added.